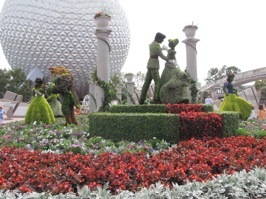 The main entrance “Cinderellabration” topiary featuring: Cinderella and Prince Charming (above left), Belle and Beast from “Beauty and the Beast” (above right), Princess Aurora and Prince Phillip from “Sleeping Beauty” (below left) and Snow White and the Seven Dwarfs (below right). 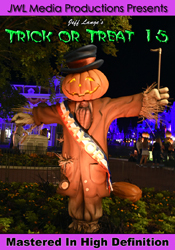 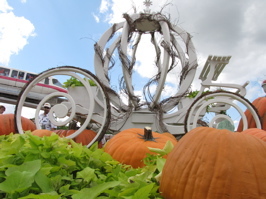 Cinderella’s Coach sits among a pumpkin patch (below left) and Stitch from “Lilo and Stitch” (below right). 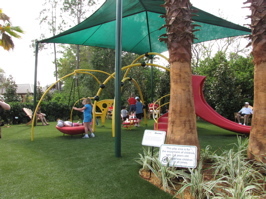 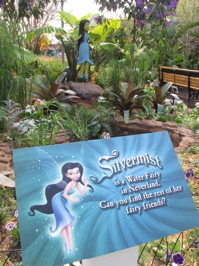 The “Pirates Adventure Zone” (below left) and the “Pixie Hollow Fairy Garden” (below right). 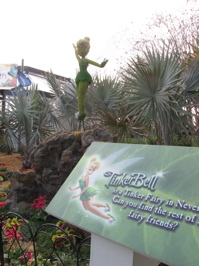 On Saturday March 21, from 11 a.m.-1 p.m., the director and producer of “Tinker Bell and the Lost Treasure” will be on hand to meet and greet guests following the Festival Opening Celebration. 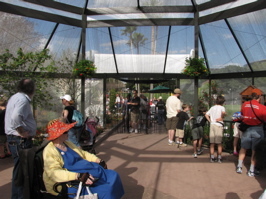 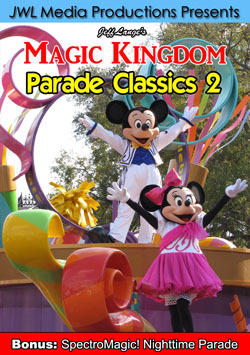 Festival favorite “Minnie’s Magnificent Butterfly Garden” once again returns (below). 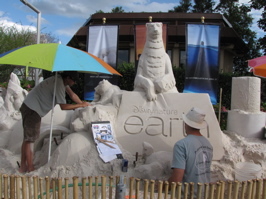 Sand Sculpture Art featuring the upcoming film “Earth” by DisneyNature (below left) and the thank you for celebrating sign as you exit Epcot. 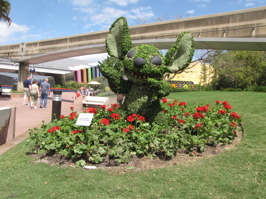 To see many more great Epcot Flower & Garden Festival opening day photos, please click HERE. 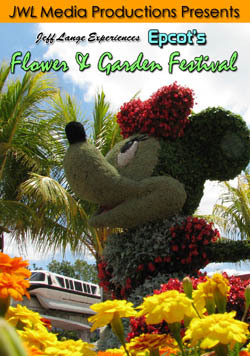 Exclusive Videos: Epcot Flower and Garden Festival – Opening Day! 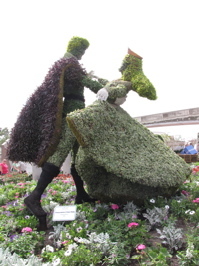 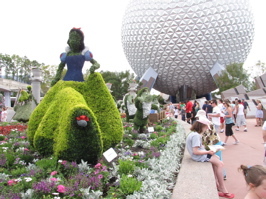 The main entrance “Cinderellabration” topiary. 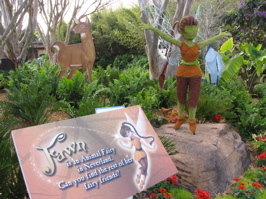 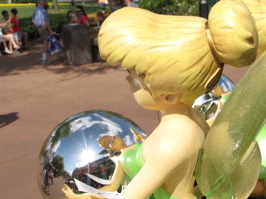 Step inside the “Pixie Hollow Fairy Garden” in the video below shot on opening day. 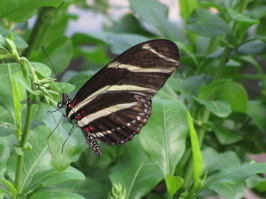 I saw this guy stomping on the sand, and thought it was really interesting! 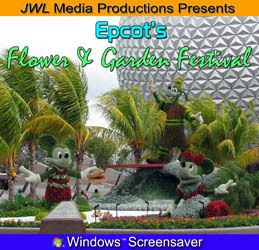 I also have a video of the sand castle later in the day once it was being sculpted (CLICK HERE FOR VIDEO). 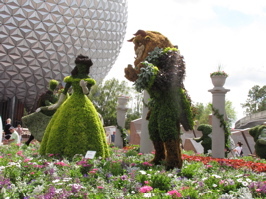 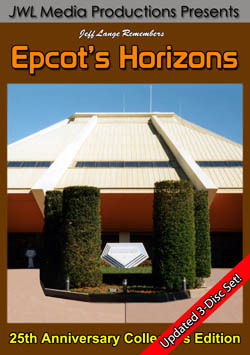 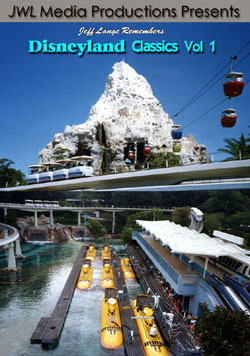 Update 3/22/09 – Bonus Videos: Epcot Flower Power Concert Series – Davy Jones! 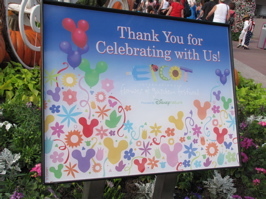 Davy Jones intro and “I’m a Believer” taken on March 21st! 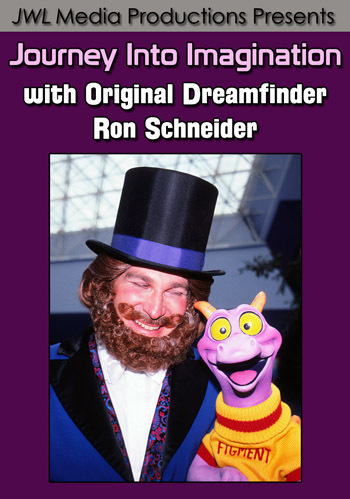 Davy Jones singing “Daydream Believer“. 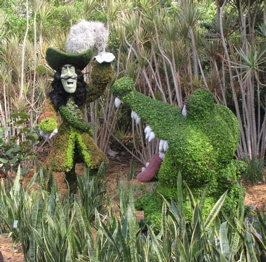 Please click to see Davy Jones performing “Girl”, from the Brady Bunch and click to view “A Little Bit Me, A Little Bit You”!